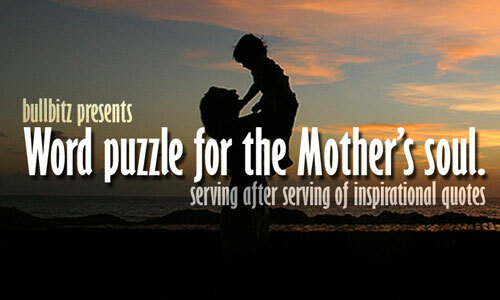 This is a beautiful inspirational Motherly quotes inspired Word Game. 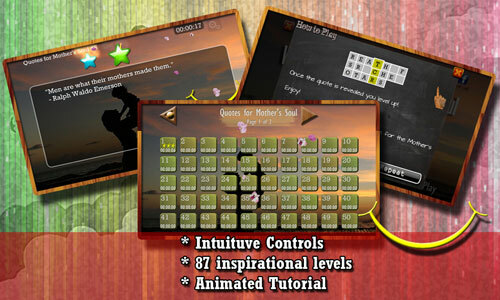 87 puzzles to solve, Hours of Heart Warming Challenging Fun Game Play! On the game board, you are given a quote by great men and women. The tiles are shuffled and not readable. 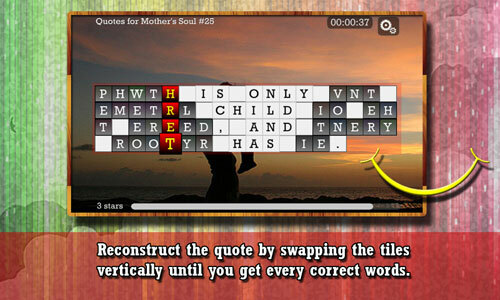 Your task is to put the tiles back into their places and recover the original quote. 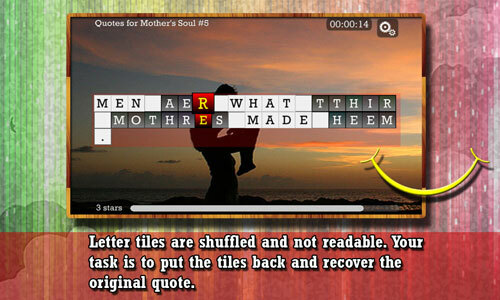 To reconstruct a quote, you must swap the letter tiles until you get every correct words. The tiles can only be swapped vertically in its respective column. 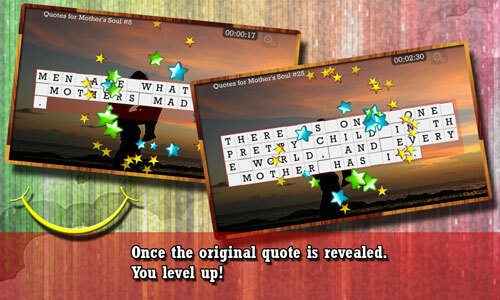 Once the original quote is revealed you level up!. Be inspired by these great quotes from great minds.